Israeli daily Haaretz alleges the three Arab states have warned Israel of creeping Turkish influence in East Jerusalem. 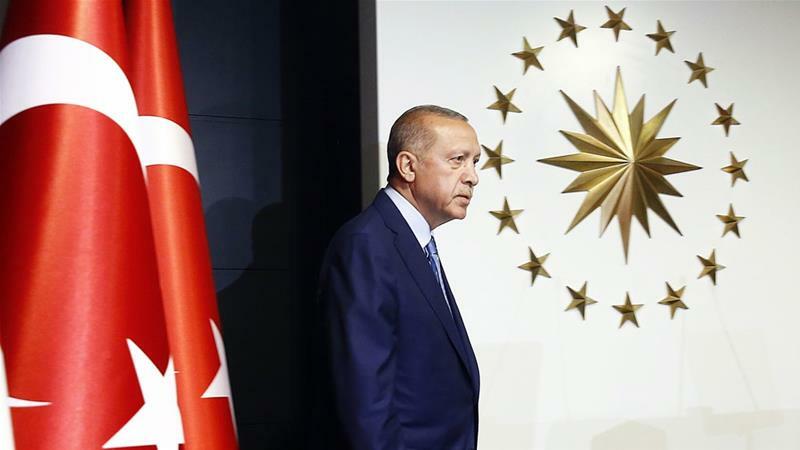 Saudi Arabia, Jordan and Palestine have warned Israel on separate occasions about Turkey’s creeping influence in East Jerusalem, according to a reportby Israeli newspaper Haaretz. Israeli sources claimed to have been aware of Turkey’s expanding influence and say they have been monitoring Ankara’s efforts for more than a year. According to the report, Jordanian officials are said to have been upset with Israel‘s slow response which they described as “sleeping at the wheel”, especially since the signing of a 2016 reconciliation agreement which Israel is adamant to maintain. Officials from the Palestinian Authority also expressed concern at Turkey’s drive to further its influence in East Jerusalem which comes in the form of donations to Islamic organisations in Arab neighbourhoods or through organised tours by Turkish Muslim groups with close ties to the ruling Justice and Development Party (AKP). Israeli defence officials told the Israeli daily that the phenomenon had reached its peak in 2017 with hundreds of Turkish nationals establishing “a regular presence in and around the city” and increasingly clashing with police forces during Friday prayers at Jerusalem’s al-Aqsa mosque. “They’re trying to buy real estate and strengthen their political standing,” an unnamed police source is quoted as saying. Jordan’s concerns stem from the fact that Turkey’s efforts to widen its influence risk compromising the Hashemite Kingdom’s position as the custodian of Islam’s third holiest site. Saudi Arabia for its part is worried that Erdogan’s ambitions in Jerusalem may help boost his image in the Arab and wider Muslim world which would, in effect, present him “as the only leader truly standing up to Israel and the Trump administration”. 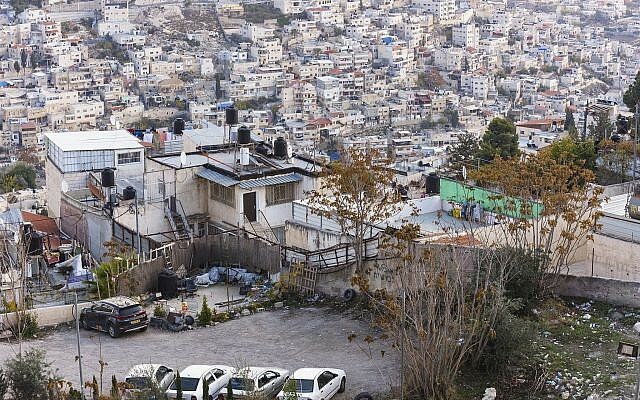 The government on Thursday unveiled what it billed as a groundbreaking program to invest hundreds of millions of dollars in long-neglected Palestinian neighborhoods of East Jerusalem. 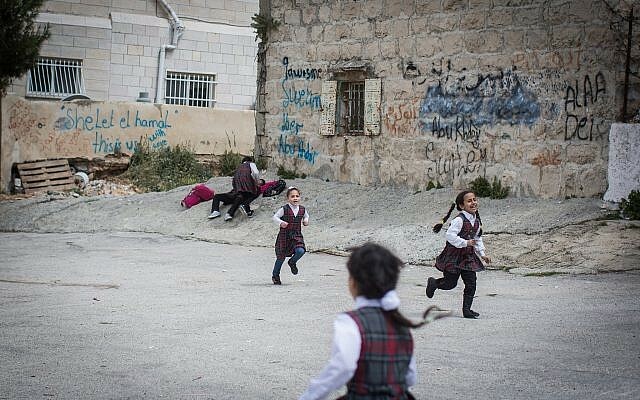 The “Leading Change” program aims to reduce the huge social gaps between the Palestinian neighborhoods and the overwhelmingly Jewish western part of the city. 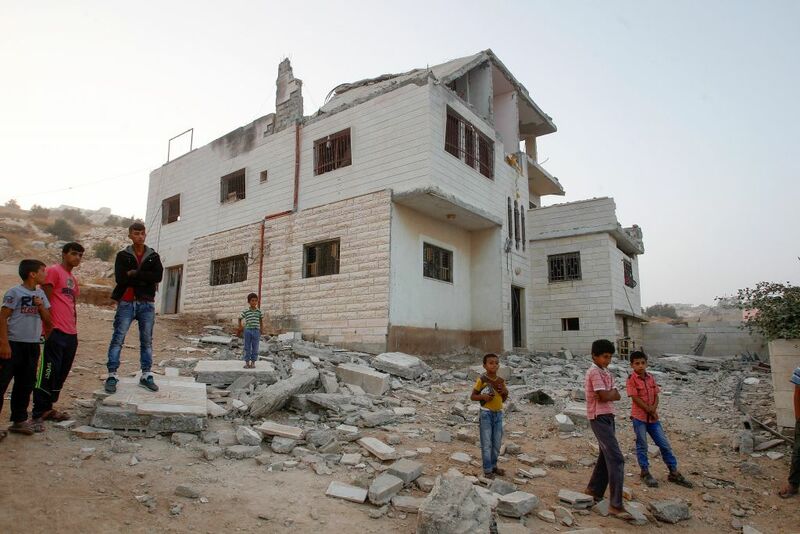 Palestinian neighborhoods suffer from poor infrastructure, neglect and subpar public services, and nearly 80 percent of the city’s Palestinian families live in poverty. The program will invest NIS 2 billion, or $560 million, in three core areas: education, infrastructure, and helping Palestinian women enter the work force. The money will be spent on a variety of programs, including nine pilot projects, in the coming five years, with the aim of attracting further government and private investment down the road. Various government ministries, along with the Jerusalem municipality, will carry out the program, which was launched at a ceremony at President Reuven Rivlin’s official residence on Thursday. Rivlin, a proponent of coexistence, praised what he called “the most comprehensive attempt by the government to date to narrow the gaps and to develop the economy” of East Jerusalem. He said East Jerusalem has experienced “lost generations” over the decades. “I very much hope that the near future will ensure hope for change, and ensure that we not give up on future generations,” he said. Israel captured East Jerusalem in the 1967 Six Day War and annexed the area in a move that is not internationally recognized. Israel considers East Jerusalem an inseparable part of its capital, while the Palestinians seek the area as the capital of a future state. 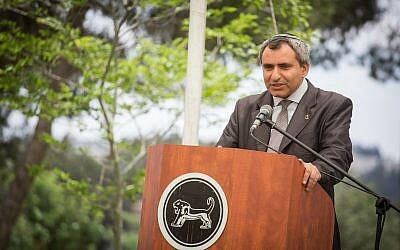 Ze’ev Elkin, the government’s minister for Jerusalem affairs, is expected to play a leading role in implementing the program. Elkin, a member of Prime Minister Benjamin Netanyahu’s Likud Party who is running for mayor of Jerusalem, said bringing to prosperity to East Jerusalem is an Israeli interest. “All those who truly believe in a unified Jerusalem and aspire to full sovereignty must act with determination to govern on one hand, and to take responsibility for developing infrastructure on the other,” he said. While critics are likely to point to such comments as signs of an Israeli power play, proponents say the program recognizes the reality on the ground and gives Palestinians a chance to participate in the thriving high-tech Israeli economy. Most East Jerusalem Palestinians are not Israeli citizens, and instead hold residency rights that allow them to work and freely travel in Israel. Jerusalem’s mayor, Nir Barkat, who critics accuse of neglecting East Jerusalem, said he has done his best to develop the area and blamed the national government for chronically underfunding his city. He said “Leading Change” would provide just a small percentage of what is needed, but expressed hope the program would raise awareness of the city’s needs. Less than two weeks away from the scheduled transfer of the US Embassy from Tel Aviv to Jerusalem, Turkey, Saudi Arabia and the United Arab Emirates are pumping a quarter of a billion dollars into the Islamic Waqf and a slew of Muslim organizations in East Jerusalem, Hadashot news reported Wednesday. The Waqf (Muslim Trust) administers the Temple Mount, home to the Al-Aqsa Mosque, Islam’s third holiest shrine, as well as a slew of schools, orphanages, Islamic libraries, Islamic courts and other properties. The mount is the holiest place in Judaism as the site of the ancient temples. Israel maintains overall security control at the site. 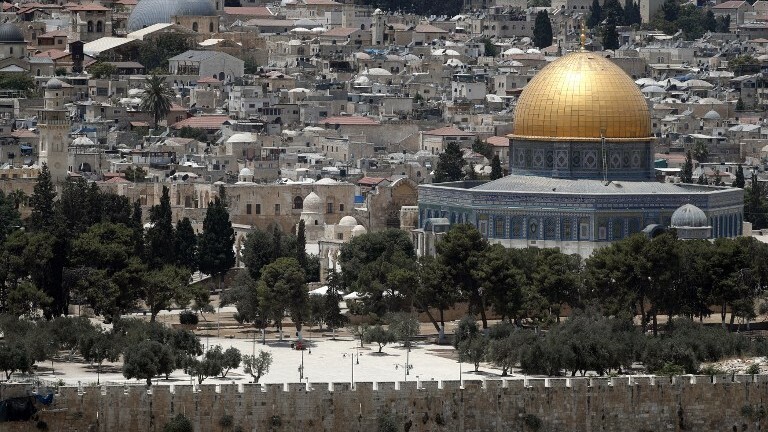 The three countries are describing the move as an act of “rescue” to finance renovations at holy sites, but Israeli officials fear their involvement will go beyond money and could spark violence in the run-up to the ribbon-cutting on May 14, the TV report said. On Sunday, Hadashot News reported that US President Donald Trump was looking increasingly likely to come to the ceremony and was mulling allowing convicted American spy Jonathan Pollard to come too by lifting restrictions that prevent him from travelling to Israel. 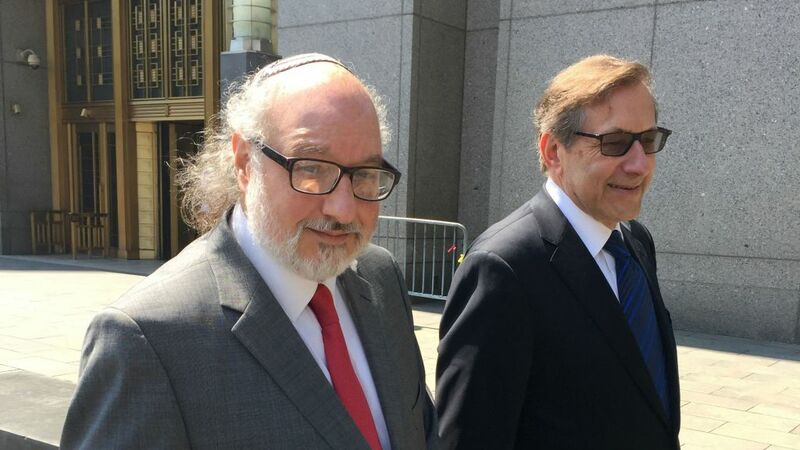 Pollard served nearly 30 years for spying for Israel, and since being paroled in 2015 has been prohibited from leaving US soil, barring him from moving to the Jewish state as he wishes. Trump’s announcement late last month that “I may go” to the ceremony reportedly surprised Israeli officials who had received no indication from the Americans that he might be attending. It had been previously reported that Trump had considered but decided against attending the inauguration. Treasury Secretary Steven Mnuchin is currently set to lead the 250-member delegation for the event, which will include 40 members of Congress and Trump’s son-in-law Jared Kushner and daughter Ivanka Trump. Other media reports have suggested that US Secretary of State Mike Pompeo could lead the delegation, in lieu of a Trump arrival. Welcomed by Israel, the Palestinians have seen the embassy move as a provocation, and have said it effectively negates the possibility of the Trump administration serving as an honest broker in peace talks. Palestinian Authority President Mahmoud Abbas and other PA officials have refused to meet with anyone on Trump’s team since he recognized Jerusalem as Israel’s capital in December. The opening of the embassy will take place just two days after the deadline for Trump’s decision on whether or not to scrap the the Joint Comprehensive Plan of Action signed in 2015 between Tehran and six world powers, including the US, under then-president Barack Obama. The agreement curbed Tehran’s controversial nuclear enrichment program in exchange for relief from international sanctions. He has threatened to tear up the deal unless new restrictions are imposed on Iran’s ballistic missile program and other military activities by May 12. Prime Minister Benjamin Netanyahu is campaigning for the deal to be fixed or nixed. An employee at the French consulate in Jerusalem was indicted on Monday for using a diplomatic vehicle to smuggle dozens of guns from Gaza to the West Bank. In addition to Romain Franck, five residents of the West Bank and East Jerusalem were also charged. A total of nine suspects have been arrested in the case. 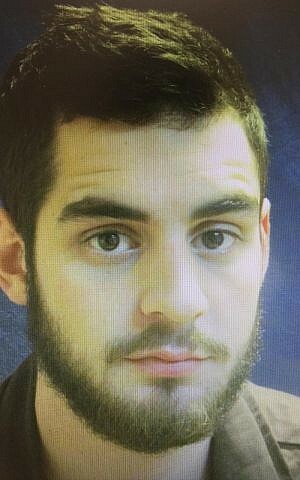 According to the indictment, Franck, 24, was aware of the reduced security checks for vehicles with diplomatic license plates, which he allegedly used to illegally transport weapons out of Gaza and into the West Bank. Franck, who worked as a driver at the consulate, spoke through an interpreter to confirm his identity during the brief court appearance. Two French diplomats were at the court to monitor the proceedings. He allegedly made five smuggling runs, bringing 70 pistols and two assault rifles to the West Bank from a Palestinian employee at the French Cultural Center in Gaza, Zuheir Abed Abdeen. A contact in the West Bank then sold the weapons to other arms dealers, investigators say. 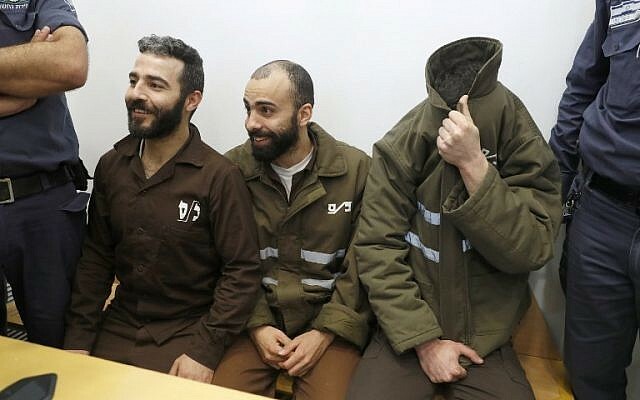 Franck was already transporting various valuables in his car on behalf of Abdeen when in September 2017 the Palestinian propositioned him to join a gun-running ring run by Gaza resident Mahmad Jamil al-Haladi, the indictment said. 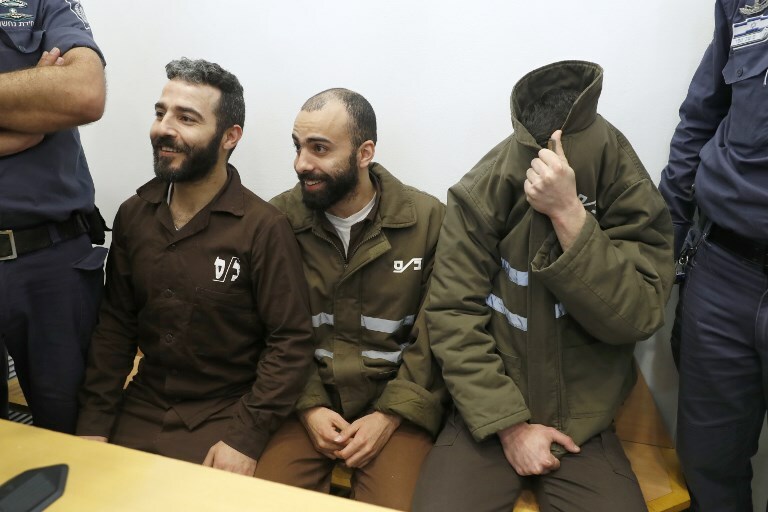 Franck later brought Mahmad Siad, an Israeli citizen employed at the French consulate in Jerusalem, into the operation and the two would allegedly travel together to deliver the weapons in the West Bank. Prosecutors say Franck would usually take delivery of the guns from Aabdin and then place them in the trunk of his vehicle. At the border checks he would then falsely declare that all of the bags belonged to him or his passengers and that he was not carrying any weapons. He was paid several thousand shekels for each delivery, depending on the number of guns he carried across the border. The Shin Bet security agency said Franck was motivated by financial gain and that his superiors at the French consulate in Jerusalem were unaware of his actions. He was arrested February 15, but the case only became public on Sunday. Details of the case were released hours ahead of the arraignment Monday, days before French Foreign Minister Jean-Yves Le Drian was set to visit Israel. Among the others indicted Monday were East Jerusalem residents Moufak al-Ajluni and Mohamed Katout. The Foreign Ministry earlier denounced the “very serious” arms smuggling charges against Franck but said the incident would not compromise diplomatic ties between the two countries. 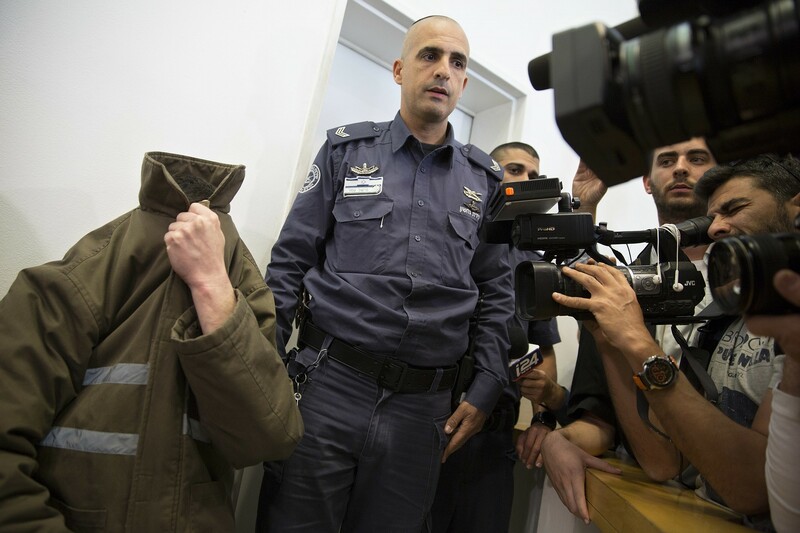 “This is a very grave incident in which the immunity and privileges granted to foreign missions in Israel was cynically exploited for smuggling,” a Shin Bet official said, adding the weapons could have been used in attacks on civilians and security forces. It also thanked French authorities for cooperating with the investigation. “The ties with France are excellent and the affair doesn’t adversely affect them,” the Foreign Ministry stressed. Franck “has benefited and continues to enjoy the consular protection” provided to French nationals, he said. According to the Le Monde daily, France won’t block prosecution, but Franck may serve his sentence in France and not Israel. Breaking records, over 1,300 Jews on Tuesday visited the Temple Mount in the Old City of Jerusalem for the Tisha B’av fast commemorating the destruction of the Jewish temples that once stood at the site. Despite fasting, 1,043 people braved the heat and went up to the Mount during the morning visiting hours, while hundreds more waited in line to visit the holy site. The site reopened to Jewish visitors in the afternoon. By 5 p.m., almost 1,300 non-Muslim visitors had toured the site. Hebrew media reports said the number was unprecedented since Israel captured the OId City in 1967. In light of recent tensions surrounding the site, the Jewish visitors were required to leave their identity cards with police before passing through metal detectors at the Mughrabi Gate, the only gate to the compound through which non-Muslims may enter. Because of the large number of people seeking to go up to the compound, visitors were escorted around the site in larger groups than usual, Israel Radio reported. Police said that six people were ejected from the Temple Mount for violating the site’s rules for non-Muslim visitors, which include a prohibition on prayer, while four people were arrested after a scuffle broke out between three Jews and a Muslim man as one of the groups was leaving the compound through the Chain Gate. In addition to the extra security measures at the Mughrabi Gate, large numbers of police were deployed throughout the Old City ahead of the expected arrival of tens of thousands of worshipers to the Western Wall throughout the day. Police said cars would be prohibited from entering the Old City beginning at 5 p.m., except those belonging to Old City residents. 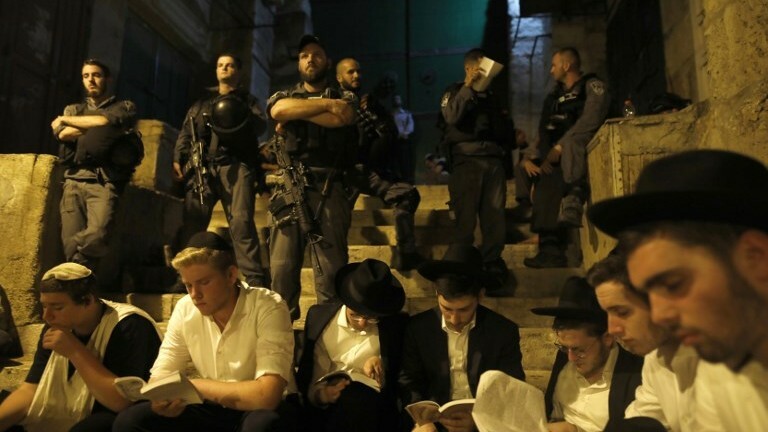 On Monday night, thousands of Jews attended prayers at the Western Wall to observe the start of Tisha B’Av, days after violence shook the city. Prayer leaders read aloud from the Book of Lamentations, believed by Jews to be the biblical prophet Jeremiah’s account of the destruction of the First Temple by invading Babylonians in 586 BCE. The Western Wall is a remnant of the retaining wall of the Second Temple, built on the site of the First and destroyed by the Romans in 70 CE. The wall is at the foot of the Temple Mount compound, known to Muslims as the Haram al-Sharif, which houses the Al-Aqsa Mosque and the gilded Dome of the Rock shrine in the heart of the Old City. The compound is the third-holiest site in Islam, after Mecca and Medina in Saudi Arabia. It is the most sacred site for Jews. 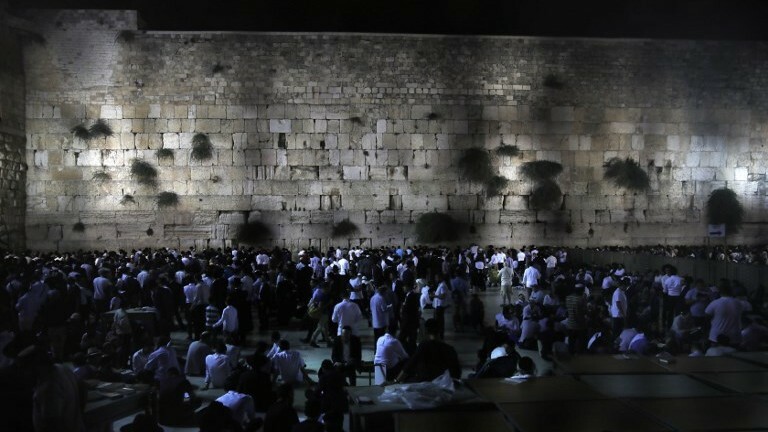 Tisha B’Av commemorates the destruction of both temples, as well as several other disasters in Jewish history. The event comes after relative calm returned to Jerusalem following almost two weeks of Palestinian protests over security measures at the Temple Mount, installed after a July 14 terror attack in which three Israeli Arabs shot dead two Israeli policemen with weapons they had smuggled into the compound. Muslim worshipers had refused to enter the Temple Mount until the security installations at entrances to the site were removed, while Palestinian protesters staged near-daily protests in and around East Jerusalem and the West Bank, some of which turned violent. 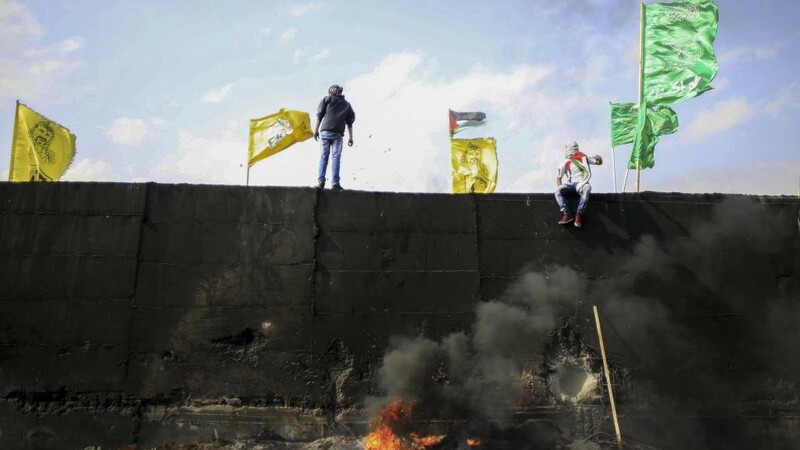 The clashes left five Palestinians dead. A week after the Temple Mount terror attack, a Palestinian terrorist broke into a home in a Jewish settlement in the West Bank and stabbed three members of a single family to death while they were having Shabbat dinner. In a Facebook post hours before his murderous spree, the terrorist cited the events surrounding the Temple Mount as a main motivator. The crisis was contained last week when Israeli authorities removed the newly installed measures, including metal detectors, following heavy pressure from Jordan, the custodian of the Temple Mount, and the Palestinians. The site has frequently been a flashpoint in the Israeli-Palestinian conflict. Under a decades-old agreement enforced by Israel, only Muslims are allowed to pray inside the compound, although non-Muslims are allowed to visit. Palestinian Authority President Mahmoud Abbas’s Fatah faction has called for Muslims to “intensify the popular struggle” over the Temple Mount, despite the removal of metal detectors and security cameras from the holy site after a week of protests over the increased security measures. Muslim worshipers have stayed away from the sacred Jerusalem compound since Israel installed metal detectors there last week, in the wake of a July 14 terror attack carried out with guns that had been smuggled onto the Mount. Instead, they have performed mass prayer protests outside the shrine, some of which devolved into clashes with Israeli security forces. Following the shooting, Israel took the rare step of closing the Temple Mount to Muslim worshipers on a Friday — the holiest day of the week in Islam — in order to search for weapons, before reopening it two days later after installing metal detectors at the entrances to the compound. Previously detectors had only been placed at the Mughrabi Gate, the entrance for non-Muslim visitors. The detectors were removed early Tuesday morning amid intense pressure from the Arab and Muslim world, although metal railings and scaffolding placed by the police in recent days are still in the area where the metal detectors once stood, and Muslims again stayed away in protest. In its Wednesday decision, the Fatah Central Committee said that it would continue protests over the security measures and called for this week’s Friday prayers to again take place outside of the compound. 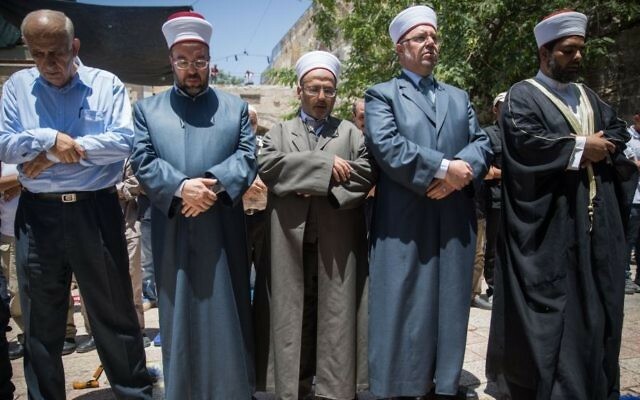 Last Friday saw violent protests in several Jerusalem locations at the end of prayers. After Tuesday evening prayers, violence once again broke out in East Jerusalem, with rocks thrown at police officers, who responded with tear gas and other “non-lethal crowd disposal methods,” police said in a statement. The tensions surrounding the site were also cited by assailants in two recent terror attacks, including last week when a Palestinian stabbed to death three members of the Salomon family in the West Bank settlement of Halamish as they celebrated Shabbat. The security cooperation between Israel and the Palestinians, in place for years despite near-frozen diplomatic ties, is seen as critical for both Israel and Abbas’s Fatah faction to keep a lid on violence in the West Bank, particularly from the Hamas terror group. In January 2016, head of the PA’s security forces Majed Faraj said his forces, working with Israeli security services, managed to foil hundreds of attacks against Israelis in less than a year. Despite the removal of the metal detectors and security cameras Tuesday, Muslim leaders advised worshipers to continue to stay away from the Temple Mount. The Jordanian-controlled Waqf Islamic trust, which administers the site, said a decision to continue the boycott was pending a review of new Israeli security arrangements there. Overnight Tuesday, Israel’s security cabinet said it would replace the metal detectors with “advanced technologies,” referring reportedly to cameras that can detect hidden objects, but said the process could take up to six months. A Waqf official told The Times of Israel that it was continuing the boycott of the Temple Mount until all security measures added after the attack are removed. The official noted that “the new high tech cameras” would not be accepted in place of the metal detectors. 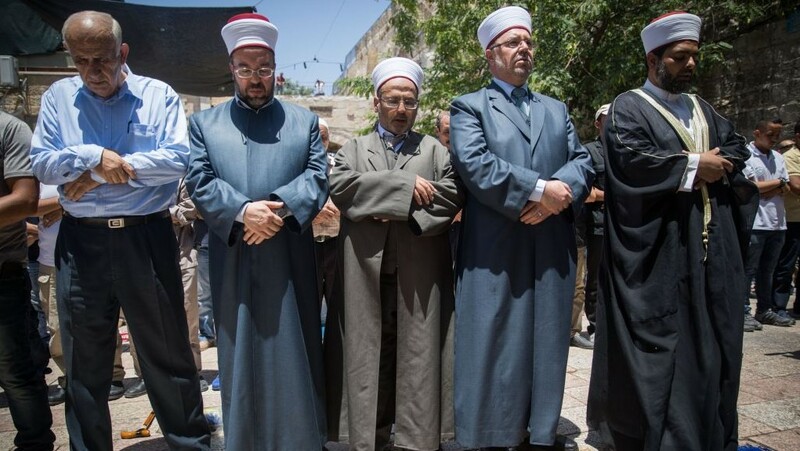 Waqf officials pointed to the increased police presence as an example of security measures they demanded be removed along with the metal detectors. Raoul Wootliff and Dov Lieber contributed to this report. Protesters rioted in East Jerusalem neighborhoods overnight Tuesday against new security measures at the Temple Mount, throwing stones and petrol bombs at police and shooting fireworks at Israeli forces. At least 50 Palestinians and one officer were reported hurt. The disturbances come after Palestinian Authority President Mahmoud Abbas’s Fatah party on Monday called for a “Day of Rage” on Wednesday in protest against the new measures, including metal detectors installed following a terror attack in which three Arab-Israelis shot dead two Israeli police officers at the Temple Mount on Friday. Speaking to Israel Radio, Jerusalem police commissioner Yoram Halevi said the city was tense but quiet on Tuesday morning after what he described as a difficult night of protests, with youths throwing stones at officers and setting dumpsters on fire. Halevi said that many of those who took part in the rioting were encouraged to do so by the provocative statements that came from the Palestinian leadership. He said despite the protests Israel would not back down on the new security measures. The placement of the metal detectors at the Temple Mount has also been met with outrage by the Waqf, the Muslim religious authority charged with managing the Temple Mount. Muslims have held prayers outside the metal detectors to protest their placement at the gates. During the night there was rioting at two focus points in and around the capital, police said in a statement. In Silwan, an East Jerusalem neighborhood just outside the Old City of Jerusalem, rioters threw rocks and Molotov cocktails at police and targeted them with fireworks. A police officer was taken to the hospital in after being hit in the leg with a rock. His condition was described as good. A police squad car was damaged in the clashes, the statement said. Cops arrested one suspect who was holding a knife. Police used riot dispersal methods to counter the protesters during which police “identified a hit” on one of the rioters, the statement said. Police did not say what the incident involved but noted that they later received a report that the suspect made his own way to Al-Makassed Hospital in East Jerusalem. In Issawiya, another East Jerusalem neighborhood, youths threw Molotov cocktails and shot firecrackers at police. Two suspects were arrested. 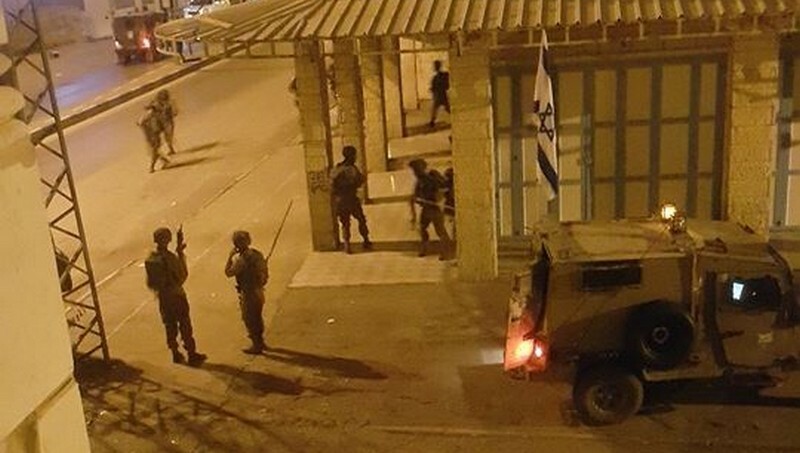 In addition, another four suspects from the East Jerusalem neighborhoods of Wadi Goz and Sur Baher were detained for taking part in the rioting during the night. 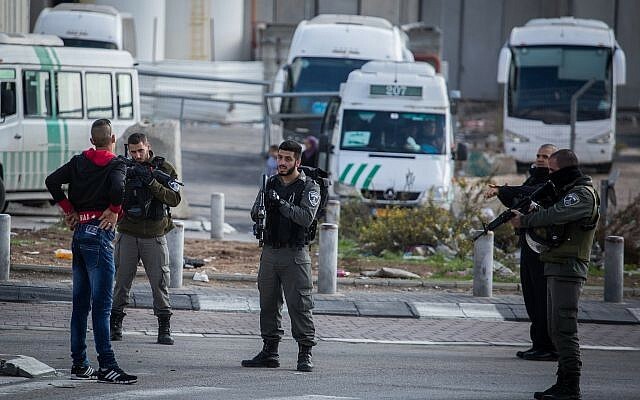 Earlier Monday there were clashes at the Lions Gate to the Old City, the scene of the shooting and knife attack during carried out by three Arab Israelis. After shooting officers Master Sgt. Kamil Shnaan and Master Sgt. Haiel Sitawe, who died of their injuries, the attackers retreated into the Temple Mount compound where they were shot dead by pursuing police. The Palestinian Red Crescent ambulance service said in a statement Tuesday that 50 were injured during the confrontations at Lions Gate and in other clashes during the night. Of those injured 15 were transferred to the Makassed Hospital and 35 were treated by paramedics on the ground. Sixteen people were injured by rubber-coated bullets, nine by stun grenades and 25 had injuries caused by beatings from police, the statement said. Four members of the Red Crescent were also injured while treating other people, the organization said. 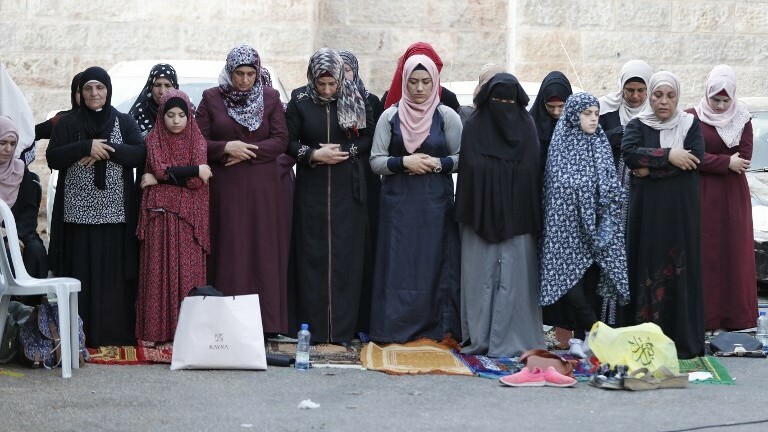 Following Friday’s terror attack Israel closed the Temple Mount compound for the first time in decades, only reopening it to Muslims on Sunday and to non-Muslims on Monday. As part of the security measures taken in the wake of the shooting to prevent further such attacks, police installed metal detectors at the entrance to the site, which Halevi said were necessary for it to reopen. Friday’s gunmen, residents of the northern Israeli city of Umm al-Fahm, had emerged armed from the compound and opened fire on the police officers stationed outside. Fatah on Monday called for marches in the West Bank toward Israeli checkpoints in protest of the new measures and announced that Friday prayers, when many worshipers go to the Temple Mount, would be conducted in public squares instead. The decision was made following a meeting between Fatah Revolutionary Council secretary Adnan Ghaith, Fatah central committee member Jamal Muheisin, and Fatah representatives from the northern West Bank. The group said the measures were called in order to denounce Israeli “terrorist procedures” in the Old City, according to a report in the Palestinian news agency Ma’an. The officials called for maintaining the delicate status quo at the Temple Mount, denouncing a “fierce and organized attack” by Israel against East Jerusalemites. Jews revere the site, where the two Jewish temples stood in biblical times, as the Temple Mount. It is the holiest site in Judaism and the nearby Western Wall, a retaining wall of one of the temples, is the holiest place where Jews can pray. Muslims regard the same hilltop compound as the Noble Sanctuary. Home to the Al-Aqsa Mosque and Dome of the Rock. It is Islam’s third-holiest site, after Mecca and Medina in Saudi Arabia. The fate of the compound is an emotional issue and forms the centerpiece of rival Israeli and Palestinian national narratives. Any perceived changes to the delicate arrangements at the site can spark tensions. Its closure after Friday’s attack prompted condemnations from the Arab world, many of which made no reference to the terror attack that prompted the closure. Dov Lieber and AP contributed to this report. Avi IssacharoffAvi Issacharoff, The Times of Israel’s Middle East analyst, fills the same role for Walla, the leading portal in Israel. Wednesday noon, downtown Hebron. Registration for the various slates for the local elections will be closing in roughly 36 hours, and it is hard to sense anything special in the air. Those who see themselves as candidates are meeting with their advisers and their friends in anticipation of the official announcement of their candidacy, but no election posters have yet gone up in the West Bank city. The well-known restaurants here — Al-Khalil, Abu Mazen, the Pasha’s Palace — are full of customers, and one would be hard-pressed to say that the residents are all that excited about the municipal elections planned for October 8. The talk of the day, of all things, is an incident that took place here just about two weeks ago, when an argument between two kids devolved into a deadly armed battle between two clans in the city. Yet although the public in Hebron seems somewhat indifferent to the elections, for the Fatah party, tensions are as high as the stakes. These are the first elections in more than a decade in which voting is taking place at the same time in both Gaza and the West Bank, and Hamas and Fatah are going head-to-head against one another. Whatever the result may be, it will affect not only the status of these organizations but also of their leaders, and could even seep into the relationship between the Palestinians and Israel. While these elections are local, and won’t directly change anything politically or security-related between Israel and the Palestinian, a sweeping win by the hardline Islamist movement Hamas is still liable to ramp up the amount of suspicion and lack of trust between the two peoples. As in the other cities in the West Bank, the trouble in Hebron is that because there are so many secular slates of candidates, there is a reasonable chance that the more moderate camp of Fatah and groups of their ilk will split the secular vote, paving the way for victory by Hamas candidates. For Hamas’s leaders in Gaza and abroad, the vote marks an extraordinary opportunity to take stock of where public opinion stands. But fear of arrests by Israel or the Palestinian Authority have kept Hamas from openly running their members for office in the municipalities, forcing the movement to content itself with semi-independent figures who are known as Hamas supporters. The flip side is that should Hamas lose at the polls, the movement will be able to claim that the lists it ran were not really part of the group, exposing it to less potential damage in the vote than Fatah. Like the parliamentary elections of 2006, these elections are more liable to show the degree of weakness of Fatah and the secular camp than the strength of Hamas. One need only travel to nearby Yatta to see what the risks of Fatah and the other moderates tearing themselves to bits looks like in action. A 20-minute drive from Hebron, Yatta is a town that has metastasized into something resembling a city of 120,000 people. Although the elections are a month and a half away, the fighting has already begun. Attacks, violence, threats and the like have been reported, mainly between groups considered to be associated or affiliated with Fatah. Hamas has refrained from running a list under its own name in Yatta. As in other locales, its leaders are in no hurry to present their candidates for fear of Israeli or Palestinian security. But they are promoting figures who are identified with them on independent or semi-independent lists. One of those candidate slates is the Joint List, headed by outgoing mayor Musa al-Muhamra, who resigned from his position just last week to run in the election. If his last name is familiar to readers, its because the two terrorists who opened fire inside a restaurant at the Sarona entertainment center in Tel Aviv are from the same clan, and the ruins of their demolished home can be seen fairly close to his own. In the past, Muhamra was a member of the People’s Party movement, which is considered left-wing, but quit over its support of the Oslo Accords in 1993. His lefty past makes him an odd bedfellow for Hamas, and shows the length to which the movement is willing to go in order to see its candidates defeat Fatah. 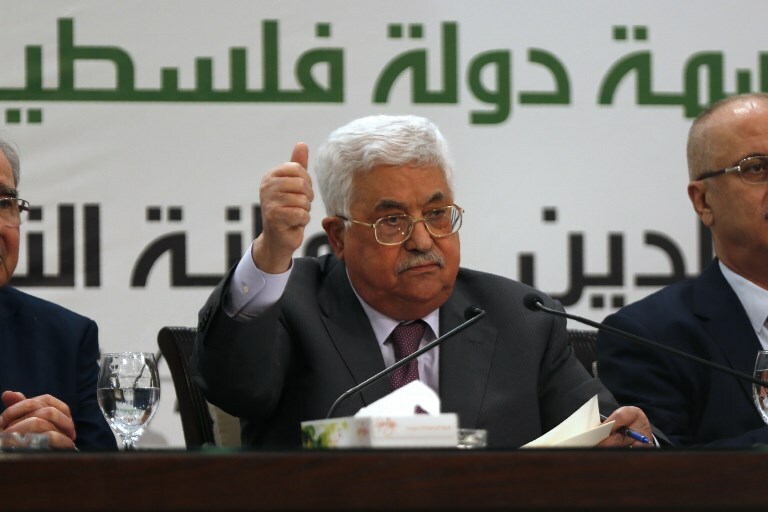 The threat to Fatah is real enough that COGAT commander Maj. Gen. Yoav Mordechai, who heads the Israeli Defense Ministry body which administers the West Bank, and top Shin Bet officials even warned high-ranking PA officials that holding the elections could be a dangerous gamble. 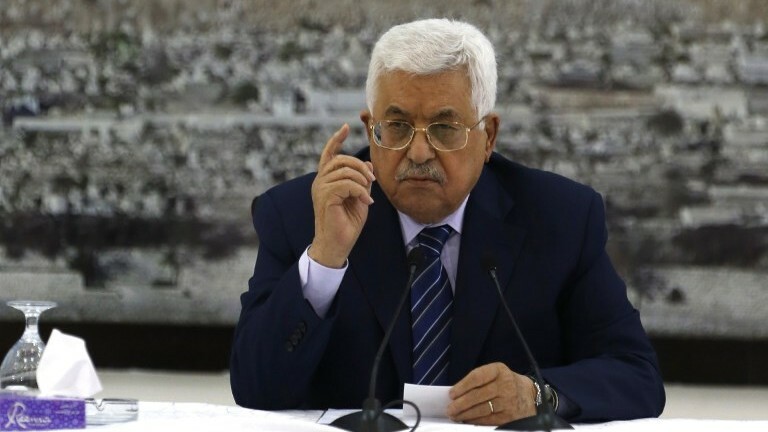 But PA President Mahmoud Abbas has insisted on holding the elections on schedule in order to demonstrate the existence of even a shred of democracy in the territories. When I asked Muhamra about Israel’s connection with the local elections, he could hardly stem the flow of words. “It is pushing people, and it is playing a role in heating up the security situation and in the change that took place in the security situation on the Palestinian street as a result of this unfair and wrong interference,” he says. Asked to explain how they are interfering, though, he answers in generalities, accusing Israel of using Palestinians who used liaise with the Civil Administration as agents to do its bidding. While Muhamra uses the term “Mordechai’s friends” again and again to refer to the colleagues of the COGAT commander , he never mentions the name of Ismail Abu Hamid, the other candidate, who is at the center of a political furor in Yatta. Abu Hamid was mayor of Yatta until 1995. When the Palestinian Authority came into being, he left his position but is now considering running for mayor again. Abu Hamid, who has Israeli citizenship, is the owner of a large fuel station at the entrance to the town. “I have a home in Beit Safafa,” he says, referring to a neighborhood in East Jerusalem, as well as businesses in the territories and in Israel. A Hamas member he is not and posters denouncing him as a collaborator with Israel were put up all over town. When we meet him, he is surrounded by people, and says his decision will come in the next few hours. (Indeed, the next day he filed as a candidate). Some are trying to help him decide, while others appear to be guarding him for fear that someone might try to harm him. Abu Hamid says that his people had found the ones who were putting up the posters. “They fired a shot at me, but my cousins managed to get the gun away from them and hand it over to the Preventive Security Service,” he says. What he leaves out is the fact that the people putting up the posters were member of Fatah who did not want to see Abu Hamid run in the elections and split the moderate vote. “They put up posters against me saying that I was an agent, a member of Hamas, a member of the Civil Administration, that Israel had sent me. It is known who is responsible for these posters, but the PA is not taking any action. It’s not doing a thing. 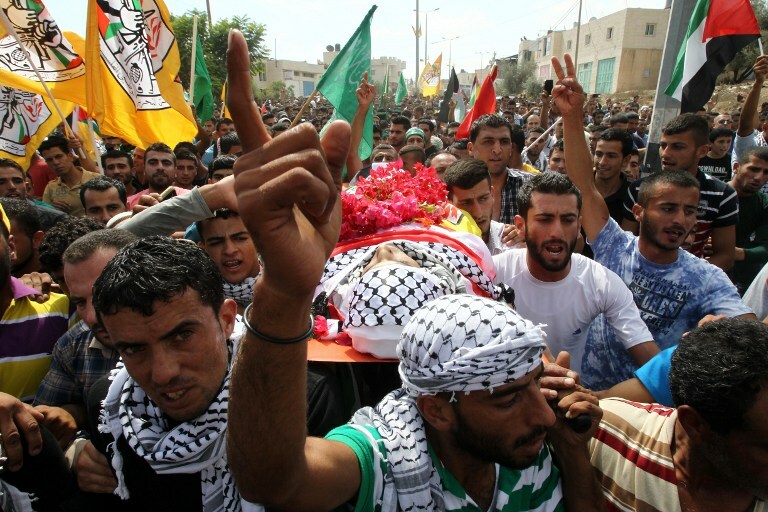 I demand that the PA act on the issue and prosecute all those responsible,” he says. He says time and again that no Israeli ever spoke to him about the topic, and attacks everyone who criticized him for his connection with Israel. It’s not only in Yatta that Fatah faces a threat from a candidate likely to nab votes from its clutches. One of the most popular radio stations in Hebron is al-Huriya (Liberty), headed by journalist Ayman al-Qawasmeh. Just 43 years old, Qawasmeh is considered a key figure in the city and the district. One can see photographs of Yasser Arafat in his office, as well as the Palestine soccer cup that the Al-Ahli soccer club from Hebron won only several weeks ago in a game against the team from Khan Yunis. Qawasmeh, who reopened the station in April after IDF troops shuttered it for for incitement to violence in November, has put his name up for mayor, leading a list of candidates entitled The Martyr Fahd al-Qawasmeh, named for the mayor of Hebron in the 1970s who was assassinated in Amman in 1984. Qawasmeh says the decision to run was not made by him. “The heads of 19 of the city’s families met in the Harat a-Sheikh [a neighborhood] and chose me,” he tells me. When I ask him whether the list will represent only his clan, he assures me that it contains representatives of many other families. “We took into account the city’s geographical division into many neighborhoods and the division into clans, and we chose people of extraordinary quality,” says Qawasmeh,. Known in the past as being closer to Fatah, Qawasmeh now says he is trying to distance himself from the movement, and demurs when asked even if he defines himself as Hamas or Fatah. “We define our movement as representing the people on the street, who actually represent the majority. Forty percent of the people belong to the movements, while 60% have no connection with, and are not members of, any group. Those people are our constituency,” he says. Our representatives are members of the new generation, he adds. We have brought in new faces. Our list contains more than one woman, he says proudly. As we speak, it is still not clear who from Hamas or Fatah will run against him come October. But from a look at the candidates on his list, which includes friends gathered in his office, it’s clear, as in the case of Abu Hamid, he’ll steal more votes from Fatah. © 2016 THE TIMES OF ISRAEL, All rights reserved.